Welcome to Bryan/College Station’s Most Contemporary RV Park 4 miles from Texas A&M's Campus. Students/Teachers Welcome Special Rates Apply. Offering the same high level of customer service and satisfaction as its sister parks, BCS Village 21 RV Park and BCS Marino Road RV Park, Timber Ridge provides the most modern amenities to make every guest feel special and appreciated and every stay relaxing, flawless and memorable. We look forward to having you visit us on your next trip to the area. 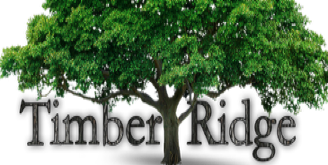 BCS Village 21 RV Park and BCS Marino Road RV Park would like to introduce you to our newest park, Timber Ridge RV Park. We offer trash pick up, propane pick up & delivery to your site and can fill and re-certify your propane bottle on the premises. PLEASE CALL THE OFFICE NUMBER BELOW TO MAKE YOUR RESERVATION. Copyright 2015, 2018, 2019 "Timber Ridge RV Park" All rights reserved.